Through team building, shared experiences and achievements of a team train and strengthen important qualities such as team spirit, communication and motivation. At the same time, this has a positive effect on the working atmosphere at the business/work place and it increases productivity of the staff. Bring different teams together or solve conflicts in a playful way. It hereby makes sense to choose a venue outside the company's premises, where teams can collectively overcome challenges. Fun is guaranteed! For a company to develop and maintain relaxed, comfortable and efficient work conditions, is very important that employees do not only coexist and do their work half-heartedly, but instead that they are motivated and enjoy going to work. In order to achieve such a balanced and productive working atmosphere, your staff has to develop a sense of unity and solidarity. Only if your employees realise that they are one single team, all in the same boat, can difficult tasks and projects be coordinated and successfully completed. Such a smooth flow of internal communication and cooperation can, however, not be enforced or simply bought – it has to be carefully cultivated through collective activities and success. Teamgeist can help you with this process. 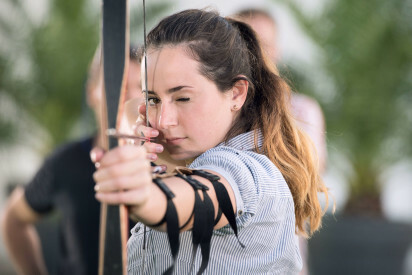 Our diverse and colourful selection of team building events provides your staff with the perfect opportunity to unleash a strong sense of unity and boost team spirit. Your entire company, including managers and employees, will benefit from our team events. 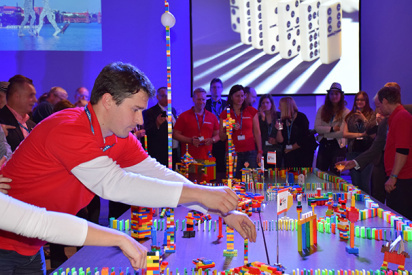 Teamgeist is Germany’s market leader when it comes to team-oriented corporate events. 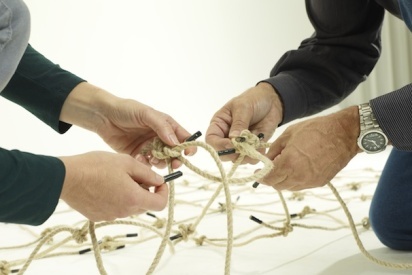 We are the perfect contact partner for team building strategies and events. During our exclusive events and under the guidance of competent and experienced teamgeist coaches, cluttered and mixed employee groups turn into well-functioning and united teams. The broad range of different team activities with teamgeist will most certainly cover any interests, preferences and demands of your staff. If you already have an idea for an event, but you are not exactly sure about it, you can always contact us and together we will take the first steps towards your perfect company event. 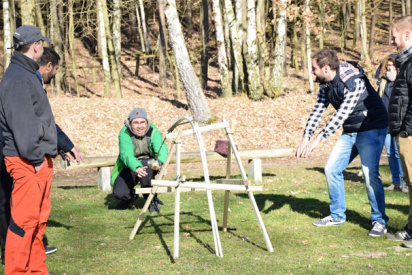 Teamgeist will gladly take on planning, organising and executing the team building event for you. Hereby, event location and number of participants only play a minor role – Because we offer large group events with up to 1000 participants and we are available for you in more than 100 locations throughout Europe. For more than 20 years, the name teamgeist has been standing for extraordinary and exclusive group events that bring your team together and leave everyone involved with wonderful memories. What kind of team building? 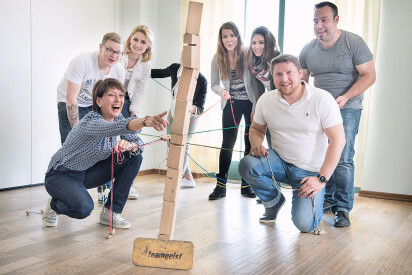 Teamgeist offers more than 30 exciting and unique opportunities for team building measures and events. Which of these best suit your company is completely up to you. If you do, however, need help, advice or ideas, do not hesitate to contact us. The action-packed tabtour is just one example of an event with tons of fun and guaranteed success. 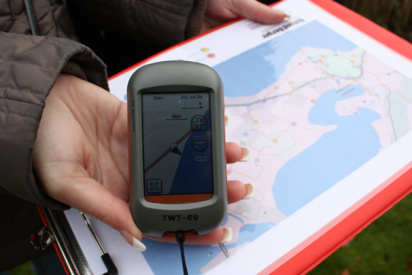 This high-tech scavenger hunt, for which teamgeist was awarded with the German Tourism Prize in 2012, can take place as city rally in Germany as well as in many metropoles throughout Europe. A day and an unforgettable experience together in cities like Warsaw, Brussels, Vienna, Zurich or Berlin will provide your team with the spark, boosting team spirit and strengthening the sense of solidarity. Teamgeist of course also offers events on a smaller scale. You could, for example, play a round of hotel golf during the course of a conference or company gathering. Such a fun and exciting team event provides for necessary distraction and removes inter-collegial barriers. Teamgeist activities as team building events are available in Frankfurt, Munich, Hamburgor any other city of your choice. Present your company with a truly unique day and experience, and convince yourself of the benefits of a united team. 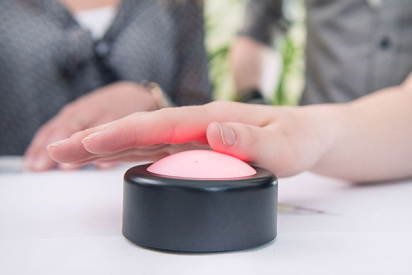 Where can a team building event with teamgeist take place? 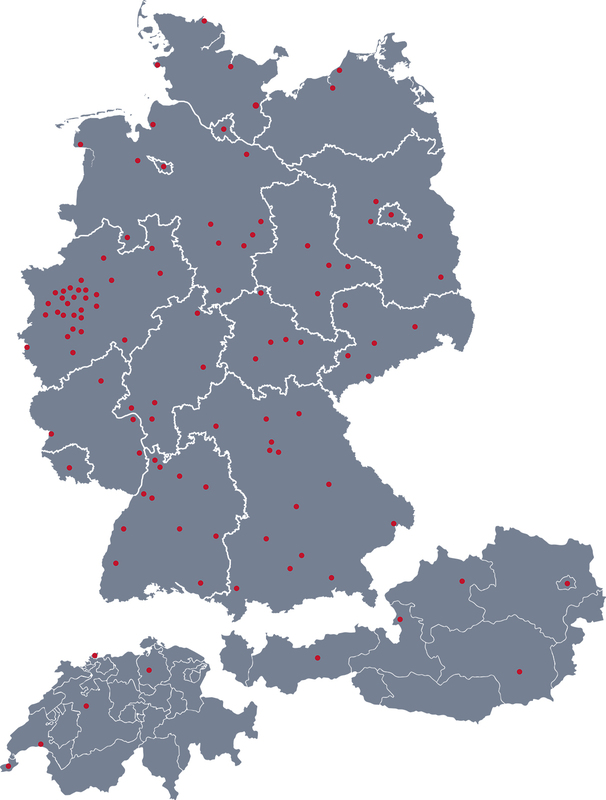 Our closely linked network of teamgeist locations is available to you throughout Germany and in many European cities. There are literally no boundaries to the location of your team activity. Whether you want to discover Barcelona, Prague, London or Paris with your staff, or whether you want to have fun at home. From small towns to huge cities, we will plan and organise your team building event tailored to your needs and desires. Our extensive selection of corporate events covers indoor as well as outdoor events, water sports and winter magic, summer celebration and Christmas market – our events are completely independent of weather and season. Do not hesitate any longer and send us your request today! Take advantage of our exclusive events for team building and experience the benefits of a well-functioning and united team at the workplace.